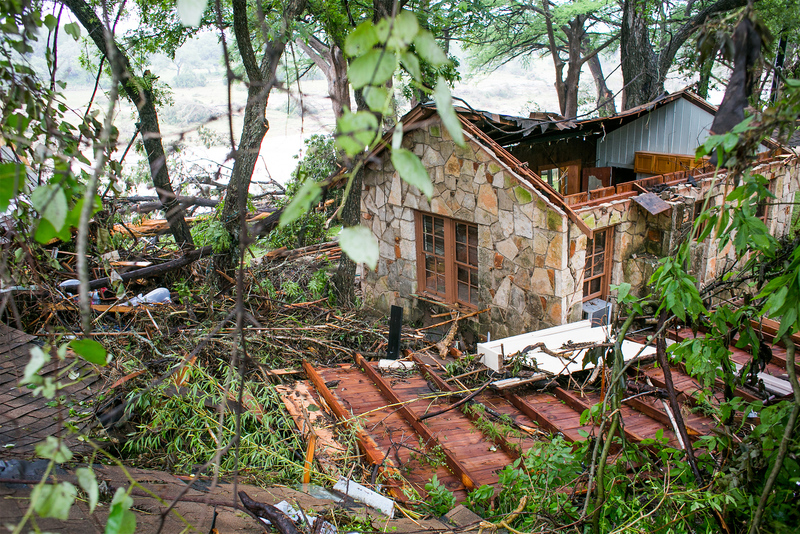 Flash flooding from intense storms over central Texas and Oklahoma over the past week has brought images of rivers and bayous overflowing their banks, streets inundated with water, homes floating off their foundations, and cars set adrift. In Houston, more than 4,000 homes have been damaged by the muddy waters so far, officials say. Rebuilding those homes will take months, if not a year or more. But some homeowners may not get all the help they’ll need, because they don’t have flood insurance. While homeowners in high-risk flood plain zones are required to buy flood insurance, others should consider buying it, too. More than 5.5 million homeowners in more than 21,000 communities across the U.S. already do, according to the Federal Emergency Management Agency. Anywhere it can rain, it can flood. When you consider that, and what’s going on in Texas, which was in the midst of a drought until last week—homeowner’s insurance policies do not include flood damage. You don’t have to be in a high-hazard area to flood. Claims are paid for the obvious: a stream, creek, river coming over its banks. However, in an urban environment that’s paved, the water can be just ponding, or pooling on its way into the stream. That can be a covered claim, water flowing over the land. Floods are the most common weather emergency in the U.S., according to FEMA, and they usually strike without warning. Flooding can result from hurricanes, tropical storms, cyclones, plain old heavy rains, winter storms, spring thaws, overburdened or clogged drainage systems, or occasionally from nearby construction. The increased development of buildings, parking lots, and roads has made flooding more severe throughout the country, FEMA says. You can live miles away from water and still be a victim of flooding. It takes only a few inches of floodwater to cause tens of thousands of dollars in damage, according to FEMA. And don’t assume that federal disaster assistance will bail you out when there’s a flood. It’s helpful to homeowners only when the U.S. president declares a state of emergency—and is usually a loan that must be repaid with interest, FEMA notes. Flood insurance policies pay out on qualifying claims whether or not a federal disaster is declared. What kind of risks am I running? People buying homes in certain designated flood hazard areas are required by FEMA to purchase flood insurance before getting a home loan from federally regulated or insured lenders. High-risk areas are those declared to have at least a 25% chance of flooding during the typical 30-year mortgage. FEMA estimates there are about 30 million structures, both residential and commercial, in that position nationwide. There’s less risk of a structural fire in your home, Schein notes (about 10%, over a 30-year mortgage), yet no one questions the need for fire insurance. You can find out if you’re in a flood zone or get a full breakdown of high-risk subcategories. Homeowners who aren’t close to a body of water may still want to consider buying flood insurance. About 25% to 30% of flood insurance claims come from areas that have less than a 1% annual chance of flooding, according to FEMA. The agency still recommends flood insurance in these low- to medium-risk areas, and in fact homeowners and businesses there might be eligible for a lower-cost preferred risk policy. You can find out your property’s level of risk at FloodSmart.gov. This can help you assess your potential flood insurance premium. Flood insurance is available in more than 22,000 communities that participate in the National Flood Insurance Program, created more than 45 years ago. The program requires certain flood plain management initiatives in high-hazard areas. However, it also offers policies outside of flood plains, whether or not your property has flooded before. What Do My HOA Fees Cover? If you are in the market to buy a house, you may find yourself in developments touting some serious services—but not without a charge. 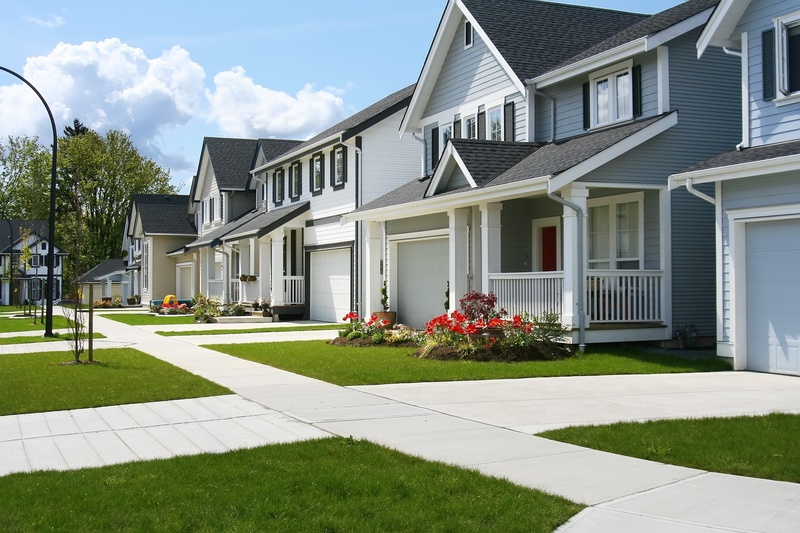 Condominiums, townhouses, and other properties in certain planned developments can come with a homeowners association, or HOA. To live there, you must pay the HOA fees either monthly or annually. These can be great when it keeps your neighbors from painting their home neon green and when your swimming pool is always clean, but may seem less helpful when the rules feel too restrictive. If you are thinking about buying or renting one of these types of properties, it’s a good idea to figure out how they work and what exactly these fees get you. Gated neighborhoods or buildings with HOA fees often charge as much as $400 a month, with higher fees on a more upscale building with better amenities. These communities operate under the idea that many parties that live in the same area can help one another out with some shared needs. All residents are equally responsible for maintaining common areas, and there is usually a governing HOA board that works toward a better quality of life for residents, sets certain rules, and protects the property values for all properties. It’s important to learn the rules, and you may want to try to meet some other residents of the development you want to live in before making a final decision. Every property requires maintenance, and, usually when you buy a home, all the responsibility falls on you. With an HOA, you don’t have to worry about all the costs and effort necessary for the upkeep of your property. There is usually a property manager who takes care of lawn care, trash removal, swimming pool and fitness room maintenance, snow removal, and common area upkeep (like elevators, lobbies, clubhouses, walkways, parking garages, etc.). Sometimes they even maintain your specific lawn. Perhaps one of the most attractive parts of living in an HOA community is the amenities that come with your home. Some offer pools, clubhouses, gyms, tennis courts, basketball courts, walking trails, gardens, and green space to name a few examples. The added entertainment benefit can outweigh the cost of the fees for residents. Many people who live in an HOA home or apartment appreciate the sense of community and security it affords them. You can meet neighbors and friends during HOA meetings if you choose to be active, or just through experiencing the shared spaces. There is usually a reserve fund for future improvements or unexpected damage repair, similar to a personal emergency fund. HOA fees also usually pay insurance for the building or common spaces, including hazard and liability coverage. Depending on what area your new home or apartment would be, it’s a good idea to research what insurance is included in the HOA fee. While this is usually how homeowners associations work, every community has its own sets of rules and priorities. Before you hand over that first month’s rent or down payment on a home, consider what you can afford, if the benefits of HOAs are important to your household, and what exactly you would get out of a specific property. 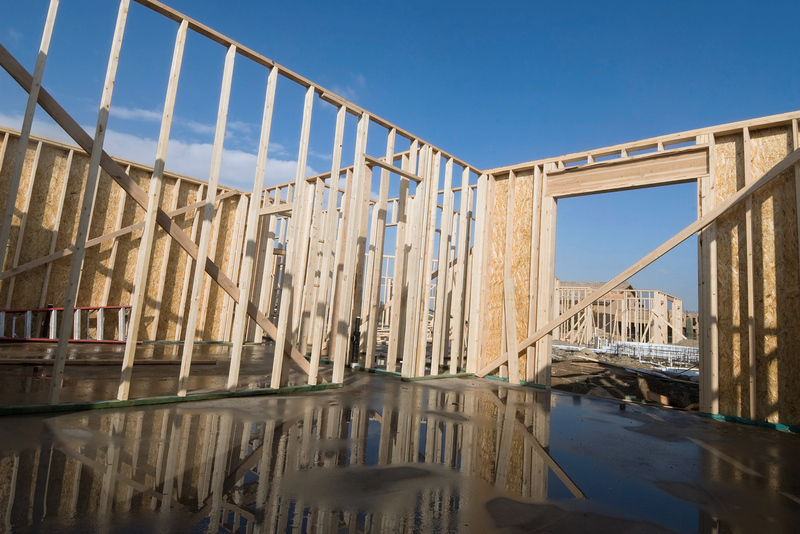 Construction on new homes hit a bit of a speed bump in May, according to a report on Tuesday from the Commerce Department, but that’s no indicator of a slowdown for the year. In fact, even though groundbreakings fell by 11% last month (after climbing to a seven-year high in April! ), homebuilders are preparing for a busy summer with heavy demand for new homes. So what gives? The slowdown, quite simply, comes down to May’s record rainfall across the country. Nationwide, the average precipitation was the highest recorded in 121 years, making it hard to begin construction on new homes. Because permits aren’t affected by the weather, they’re a much better gauge than groundbreakings to assess housing growth. As Milli Vanilli once crooned: “Blame it on the rain“. You can easily pull a permit in the rain, but it’s a bit harder to break ground and start construction. These are all indicators of a healthier housing market—in fact, we’re on track for the best year in residential real estate since 2006. A word of advice from Smoke as we head into a competitive home market this summer: Considering an option to sign a contract with a builder to build a to-be-built home is a great way to avoid bidding wars on existing homes in tight supply markets.